Video streaming service Hulu will become available for download as part of today's North American download update. The subscription-based video on demand service is the first of its kind of Switch, a console which has been curiously lacking in streaming apps so far. We've heard rumours that Netflix intends to bring its own app to the console in the fullness of time. 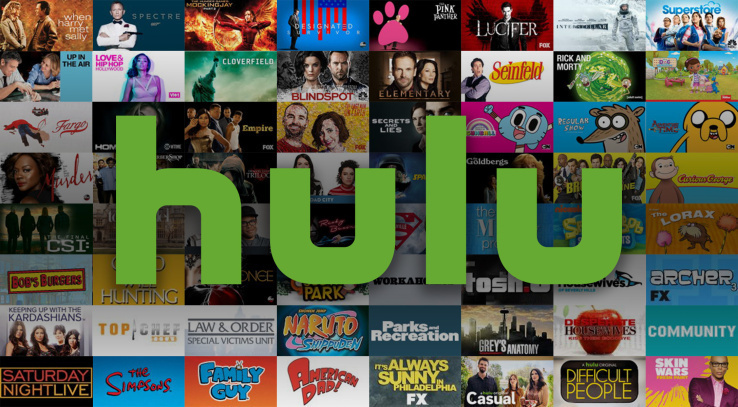 Let us know what your experience is with Hulu on Switch once you've had chance to download it. Sadly for users outside of North America and Japan, the app is not available so the wait for streaming video on your Switch continues. Good news. I hope we'll have Youtube too, make it easy to upload those nice 30s videos. That's not how you spell 'Netflix'. I don't use Hulu so hurry up Netflix! This is awesome news. Netflix will be soon to follow hopefully. Incoming flood of "that's great but what about (insert app of choice here)"
Great news!! Hopefully this opens the floodgates for the rest. I figured they'd add them by the holidays. Wonder why the heck it took so long. I’m sure Netflix isn’t far behind. Didn’t they say a while back that they have an app ready and were waiting for approval from Nintendo? Or did I imagine that article? Watching third parties wake up to the success of the Switch really drives home how sunk Nintendo might have been with some other less successful strategy. Imagine if they had waited another year, for instance. It took tremendous success with a couple of game-of-the-year candidate exclusives and a novel form factor that happened to connect with more gamers than expected (even by Nintendo) to get Hulu on there. lol. There is money to be had, though, so here come the publishers, third parties, and app providers... just a little bit slower than the indies. Here we go. This is great news. @thesilverbrick It was a rumour... or maybe it wasn't ? Netflix app, twitch app and a decent (third party) browser. Still not stoked about this kind of thing. How about a stock brokering software, podcast service, AM radio receiver or something else that isn't video games now we're at it. @ieatdragonz Yeah this is what I keep hearing. Some shows/movies seem to be locked behind multiple paywalls in the US when everything is on Netflix overseas. Like the last Star Trek show with CBS all access. Wow... I actually do subscribe to subscribe to Hulu. While I wasn't clamoring for the app (or any streaming app on the Switch as I have so many other devices for those purposes), I can't complain. This is awesome for those that can take advantage of it. Can't wait for Netflix to drop in the UK, then I can finally put away the Xbox. @Pod Depends on the show and its status on whether its currently airing or not and the licensing agreements. At the very least, Netflix doesn't omit random episodes like Hulu seems to do for whatever odd reason. At least from none of the shows I've encountered. However comicbook.com quoted Reggie last month as saying "You’d have to ask the folks at Netflix". Here's another nail in the coffin in the Wii U. Soon it will be completely phased out. Netflix has the new Mystery Science Theater 3000 season and IT Crowd. As long as those remain, I will have a hard time canceling. I use YouTube and Amazon Prime video more. Yes, finally. I will download this as soon as I can. Now I just need Netflix. @HydroTendonMan A third party browser won't happen. Look how today's relevant browsers release big updates with new features every month, constantly improving and fixing stuff and maintaining several beta versions to achieve this. Why should they ever do all this work for a secondary feature on a system with a few ten millions of users? Android has way over a billion active users, there are 700 million iPhones and more than 200 million Windows 10 devices alone - and unlike on gaming consoles, web browsing is a key feature on all these systems. And just because it's Opera branded also wouldn't change anything really. That's why I find it strange that so many people want a browser on the Switch anyway. Even if Nintendo did all they could, the experience might only be ok, but not much more so that you couldn't really extensively use it or anything. So a basic browser might be nice at times and really great for some, but 99% of the people probably won't find any use out of it. Aww no. Hopefully it doesn't slow down the fastest instant gaming console on the planet . In a world where streaming services appear like feces on every device, it is great to have one unique gaming only console. That's great, but what about DisneyLife? In all seriousness though, I would actually love that... Especially as they don't currently have an app for other consoles, I currently have to connect my laptop to my TV to watch. Man I was hoping they would have added either Netflix or YouTube first seeing as I don't have Hulu but this is an excellent sign of things to come, I hope the others are added soon. This is good news! Hulu is a lot better than Netflix IMO mainly because Hulu has a better selection of animation than Netflix. I don't use Hulu. Give us Netflix please. So why can't UK people just download from the US eshop? It's a region free console, after all. Lest we forget. I downloaded NicoNico from the JP eshop, and it worked great. Good so people can stop whining about that. @Ryu_Niiyama "We want streaming services Nintendo!" "Not that streaming service Nintendo!" @nab1 The wii actually had a physical version of Netflix lol. Meh, I have a Roku for all of this. Even if streaming apps come to the Switch, I would never use it for that purpose. I'm glad the Switch has been a "gaming first" type of counsel. I hope to have the option of adding these apps, vs them automatically popping up in an update. To each their own. Awesome news, I hope YouTube and Crunchyroll follow too. That much is true. Netflix seems to license the full seasons at least. I'm sure the omissions aren't entirely arbitrary though. I'd expect networks to hold the highest rated episodes (or just any episode sometimes) from a season "hostage" from streaming services. Demanding you pay a considerable chunk extra to feature a full season compared to one with a few holes. @Ryu_Niiyama They can still whine about how it performs, looks in handheld mode etc! @ieatdragonz Agreed! I've lost count of how many times I got ready to watch something that's been on my queue for months, only to see that it was recently removed. Saturday morning, bowl of cereal, pajamas, and no 90s X-Men cartoon to watch. Sure way to ruin an otherwise perfect day. No this news is great for sales. As well as the Switch is moving units now, imagine the people that would be into buying “the cheap tablet to watch Netflix AND play quality Mario games”. While I do agree that the Switch doesn't need to be cluttered with 3rd party apps that are easily available on a wide range of smart devices, I've gotta say that the prospect of having Netflix/Hulu on the Switch is appealing for the same reason games on the Switch are. Being able to pop the device from the TV and flip to hand held mode. When you have multiple family/roommates and only one decent TV in the living room, that one little gimmick goes a very long way. I don't use Hulu, but I am pleased because it hopefully means that other services that I do use are on the way! I'm surprised this just came out of nowhere, seems like something Nintendo would have at least put out a tweet about a week in advance - "Hulu, coming to Switch November 9". I'm surprised Hulu didn't. And for all the people who say - "Big deal, I can do that on all my other electronic devices." Well it is a big deal for the same reason Switch is a big deal. You can start watching a show at home on tv, pick it up and take it with you - as long as you have WiFi of course - and even stand it up and watch with a friend, impropto tv. My 5" phone screen seems so tiny compared to the 6.2" Switch screen. Not sure why, but it does. Another discussion right now could be just how little hype and anticipation Nintendo is doing with the debut of these features. All of a sudden it’s just... there! Kinda exciting like this. Where the frik did this come from? Shame... Hulu not working in Canada, rite? This article says Hulu is not available outside "North America", when it should say it's not available outside the "USA". Hulu is not available in Canada. @gortsi Yes, you can get around it with a VPN. The billing is a bit trickier as they need a US Zip Code (there's ways around that too). I've been using Hulu from Canada for a few years now via VPN and love it. Use it more than Netflix, tbh. Far better than any service we have. @Nintendoforlife What? Wii U had the final nail in it's coffin a long time ago. Well, this is a surprise! I shall download post haste! @ballistic90 actually Hulu has some great options! It be great if they added all the others like Netflix, YouTube, Amazon Prime and HBO Now/Go. Then you’d really have a top notch portable entertainment device. The Switch screen is so much bigger than my phone, it become much my go to device for entertainment on the go. Fingers crossed for Now Tv and maybe even DisneyLife over here in the UK. I wish I could use my switch in portrait mode and use a bunch of Smartphone apps. I guess like FB and whatnot but obviously better ones. It's a bit annoying my Switch has such a beautiful Capacitive touch screen but no reason to use it. But the question is: why only Hulu? What about Youtube, Netflix, Amazon and DAZN, for example? And when exactly did Nintendo give up its ridiculous stance of 'the Switch is a pure gaming device'? Why was there no press conference or any kind of big announcement? This is a huge deal, after all! @ieatdragonz Then why aren't you using the Canadian Netflix, for example? I use any and all Netflix versions (with various VPN or Smart DNS services, most of then offer apps and browser extensions) there are on the globe, depending on what I want to watch (my personal recommendation would be ExpressVPN). You can find out what is available in which country on sites like unogs.com. That's the benefit of Netflix over Hulu: it's a global service and therefore has a lot more content to offer. But if course, having both isn't bad either. Netflix and Amazon please and thank you. Wow, Hulu arrive on a device before Netflix. that's like Yahoo getting first pick over Google, granted I view my Hulu more than Netflix currently. Perfect time for me to try it out since I'm on break in Florida visiting my dad (old fashion) and the only gadgets I bought with me is phone, 3ds, and Switch with dock. The switch will now replace the Chromecast, Apple TV, and Wii U until then. Everyone screams Netflix, that’s not a service I’ll ever use again. They stole money from me, I could see on my bank statement that they were taking money from me. So I called them, I said I never restarted my subscription, they could see it hadn’t been used for the three months it had been restarted for, but refused to give me my money back. So I had to get my bank involved, it took 6 months to get my money back, so yea never again. @neufel @HydroTendonMan I’m sure it’s just around the corner. Netflix will want to be available wherever competing streaming services are. Thanks for confirming that article’s existence. I thought I was crazy. Gee, I wonder where all NL users, who back in March were shouting "we don't need apps/browser/[insert a very basic functionality right here] on Switch!!!!! This is a video game console!!!!! I have other devices for that!!! ", are now. Throw that bs out of the window, I want everything conveniently on my precious little Switch. A dedicated app is really some great news for me. Hoping that more apps (Netflix? Spotify? Facebook client?) will pop up soon. @Waninoko Maybe now that they own a Switch and stopped playing their old consoles, they're getting quite frustrated relaunching their WiiU-PS3-anything just to get their netflix fix. @subpopz You can make the argument it's worth keeping until the Netflix, YouTube, maybe a browser appear on the switch. But when they do, there's really no reason for it to stay plugged in. Is Hulu available in Canada yet? Wow, that took longer than I expected. Hopefully YouTube and Netflix come soon. Nice, I don't know if I'll be using it, but good for those that will. Hopefully this leads to other apps like Amazon Video, WWE Network, Youtube, or Twitch. But what is the frame rate?!? I use Hulu way more than Netflix so thos is awesome. Meh, Hulu isn't available in Canada so I don't care. I am glad though that the app is coming to those who can use it and that it won't automatically just appear (like it did on Wii U) and take up valuable storage real estate, since again I can't use this. Bring on Netflix though, and YouTube. Also, I really hope they make a YouTube app that could be run while a game is on in the background (I watch YouTube to help me through tough areas in games. Would be nice to not have to quit the game and watch, or watch it on another device). The app is smooth, legit and exactly what you might expect from it on Switch. However, I don't think it has touch screen controls, no biggie though. But it isn't buggy like the Wii's apps. @gortsi There is. Dammit we need proxies Nintendo! Between the two, Netflix is superior for it's original content and complete lack of ads (you have to have the highest pricing tier for no ads on Hulu). For existing shows however, Hulu is becoming a better option overall honestly as way too many companies are pulling their content from Netflix. Hulu also has the new episodes of shows soon after they air, whereas Netflix usually won't have them for months. Anyways, I'd like to see Nintendo add an apps section to the bottom row on the menu so that they're separated from the games on the main menu. Awesome news next we need YouTube, Netflix and a Browser Please Nintendo make it happen before Christmas. @SetupDisk No, and likely never will be. The makers of CraveTV (Bell) would rather fight competition through spending money in trying to keep them out instead of actually making a service that's as good. I looked at CraveTV and looked at the bit of hassle in setting up Hulu via VPN. The hassle was worth it as Hulu is far superior to CraveTV, IMO. @Nintendoforlife I guess you could make that argument.....if you don't have a phone, tablet, any other game console, PC, laptop, smart TV, Roku, android box or any of the many devices that already have those apps. Heck, there's even smart fridges that stream now. The people relying solely on the Wii U for these apps would be in a very extreme minority, especially considering how poorly the Wii U sold to begin with. Wii U was dead and buried long before this app came along. @subpopz "The people relying solely on the Wii U for these apps would be in a very extreme minority"
1. It doesn't have to be solely, I used the Wii U to access Youtube quite often. It was easier to use than my Amazon Fire Stick, and my iPad did not allow me to watch videos on the big screen. Now I mostly use my iPad because my Gamepad's battery doesn't hold/charge anymore. It's hypothetical but I would assume a good amount of people used their Wii U as well as other devices. 2. Until that group of people fades out the Wii U (community wise) is still alive. Business wise yes it's dead, but the community it built up is still around. I really do hope Netflix and YouTube follow soon. I would love Twitch to follow too. I'd ask for Crunchyroll, but I live in a region where I "special equipment" to use that site. lol Kudos if you understand that reference. @Nintendoforlife If you want to consider the Wii U an alive and active system, then all the power to ya. You should prepare for the rest of the apps on Wii U to be replaced on Switch though, cause they're coming. I hope Hulu and Netflix come to Japan soon enough, but probably I'll be waiting for months before that happens. Did Hulu get exclusive rights for the Switch? Finally. Please follow up with Netflix, YouTube, and Crunchyroll. At that point, I may put my Wii U away to save space on my console table, since I mainly use it for streaming apps these days. Meh both are boring now, Netflix doesn't have shows that I like anymore and Hulu I don't have an account for and not going to start paying for it when I am going to pay Nintendo for the online thing next year anyways. Just give me the damn internet browser so I can watch my own free videos. Hopefully it support YouTube and Flash. @rjejr It's because the 6.2" Switch screen is actually 54% bigger (in area) than a 5" phone screen. I don't really know why they quote screen sizes as the diagonal rather than in square inches, but there you go. I think that this company is completely pathetic.. the developer of this app for this multi million dollar company was paid NOTHING!!! It's disgusting to me that they are making so much money off of this app and others like it that will follow and the developer gets no credit, no compensation nothing.. NINTENDO IS A DISGRACEFUL COMPANY!!! @Kimmykim27 The developer of this app doesn't work for Nintendo though. App like these earn money from subscriptions and ads, something they earn more from than simply waiting for Nintendo to give them a check. They decide if they want to support the platform or not, Nintendo had no say in what they do their (Nintendo) only job is to approve or disapprove request. @chardir "6.2" Switch screen is actually 54% bigger (in area) than a 5" phone screen"
Thanks, it seems that much bigger, more 50% than 20%. Of course phones are weird anyway, my 4.5" phone battery died so I thought I'd upgrade to a 5". Same width, slightly taller, I really can't tell any difference. It is noticeably bigger than my wife and kids 4" phones, but I'd buy a 4.5" phone again if it was cheaper, the 1/2" isn't worth the extra $. Switch also seems bigger than the Gamepad too, but I think that's just the brightness and the Switch tablet being so much smaller than the Gamepad monstrosity.